The High Weald Dairy is located at Tremains Farm in stunning countryside in the High Weald Area of Outstanding Natural Beauty. Located in south-east England and covering 560 square miles, the High Weald is the fourth largest AONB in the country and stretches across parts of Kent, Sussex and Surrey. Among this landscape of farmland, woodland, historic parks and ridge-top villages is where you’ll find our dairy. Tremains Farm is a 350-acre family farm which is typical of the High Weald, among rolling hills where farmland is interspersed with woodland. The dairy is close to the village of Horsted Keynes and many of the cheeses pay homage to the local area including Duddleswell, a nutty cheddar-style cheese, named after the village where the High Weald Dairy was founded and St Giles, a semi-soft creamy cheese, named after the church in Horsted Keynes. The High Weald is a beautiful area and you will find plenty to do should you decide to pay us a visit with charming rural pubs just minutes away, beautiful woodland walks in the surrounding countryside and both The Bluebell Railway and the National Trust’s Sheffield Park and Garden within a couple of miles of the dairy. If you’re looking for somewhere to stay nearby, a list of suggested accommodation is given under the travel arrangements on our Cheese Course pages. • Water is supplied by the dairy’s own 65-metre-deep borehole and is reused wherever possible. 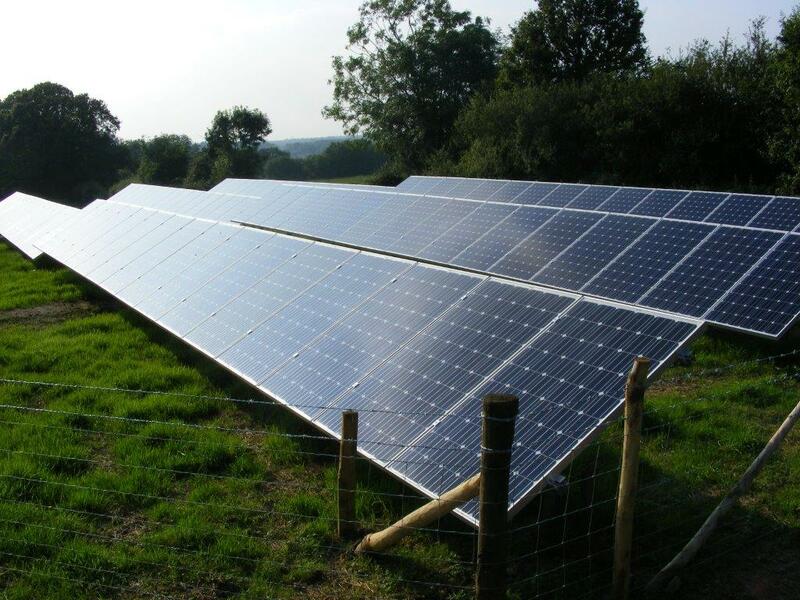 • We use solar energy to produce half of the electricity used in the dairy with our own 30 KW photo-electric panels array. We aim to add to this and have a target of producing 100% of the dairy’s electricity needs on the farm. • Our solar energy system helps to minimise toxic emissions as does our choice and use of vans. • Since 2015, approximately 80% of the dairy’s hot water has been provided from a biomass boiler. The biomass we use is all supplied by selective coppicing of the farm’s woodlands. • We sort and separate our waste and reuse or recycle wherever possible and promote recycling both internally and to our customers and suppliers. • We’re proud that we meet or exceed all the environmental legislation that relates to the company.